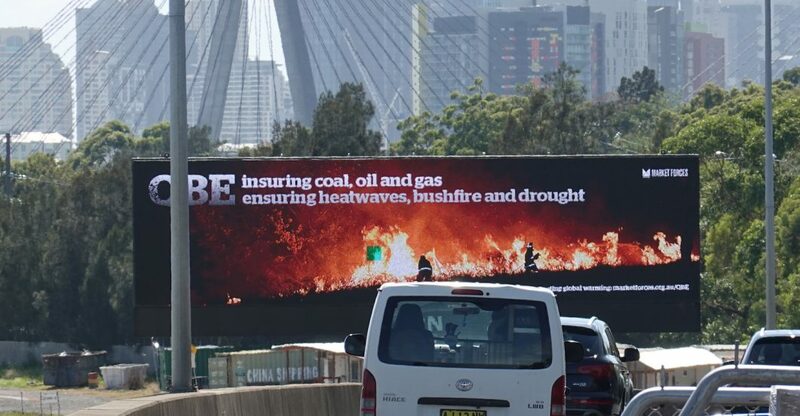 As Australians suffer under record-breaking extreme temperatures, bushfires and floods, Market Forces has launched an outdoor advertising campaign demanding Australia’s major global insurance company end its support for the fossil fuel companies driving global warming. Thanks to donations from Market Forces supporters, the billboard on the City West Link road in the Sydney suburb of Lilyfield will be up for a week, exposing QBE for its investment in and insuring of coal, oil and gas companies, and linking it to the ever-worsening heatwaves, bushfires and droughts that these industries are fueling. A two-week street poster campaign also began today. QBE, as an insurance company, exists to protect its customers from the impacts of extreme weather events like storms, bushfires and floods. 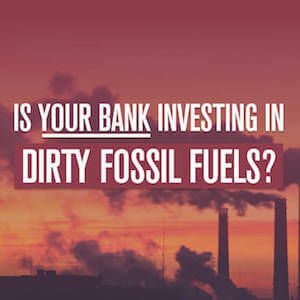 Yet QBE is worsening these threats by investing in dirty fossil fuel companies and providing insurance for destructive coal-fired power stations, coal mines, oil rigs and gas pipelines. QBE’s inaction is astonishing considering the threat to the insurance industry from climate change and increasingly destructive extreme weather, which QBE has acknowledged. These street posters are going up on a wall near you! In late 2018 both IAG and the NZ Reserve Bank warned the effects of climate change will render huge swathes of the globe uninsurable. According to Munich Re, during the three decades to 2012 Australian weather-related insurance losses rose fourfold. Swiss Re’s research estimates insured losses from natural catastrophes and man-made disasters cost $144bn in 2017, making it the most expensive year so far. 2018 was also an above-average year for insured losses from natural catastrophes (US$80 billion), with extreme storms, wildfires and droughts the main cause. Munich Re linked the most costly 2018 catastrophe, the Camp Wildfire in California, directly with the impacts of human-caused global warming. Both the UN and the International Energy Agency released reports in 2018 showing that no new fossil fuel infrastructure can be developed if the world is to have any chance of limiting global warming to 1.5 degrees. Additionally, existing coal, oil and gas operations need to be phased out in the next few decades. Continuing to invest in companies that intend on expanding coal use and providing insurance to new coal mines, power stations, oil rigs and gas pipelines is the opposite of what’s needed to avoid catastrophic climate change. There’s no time to waste. 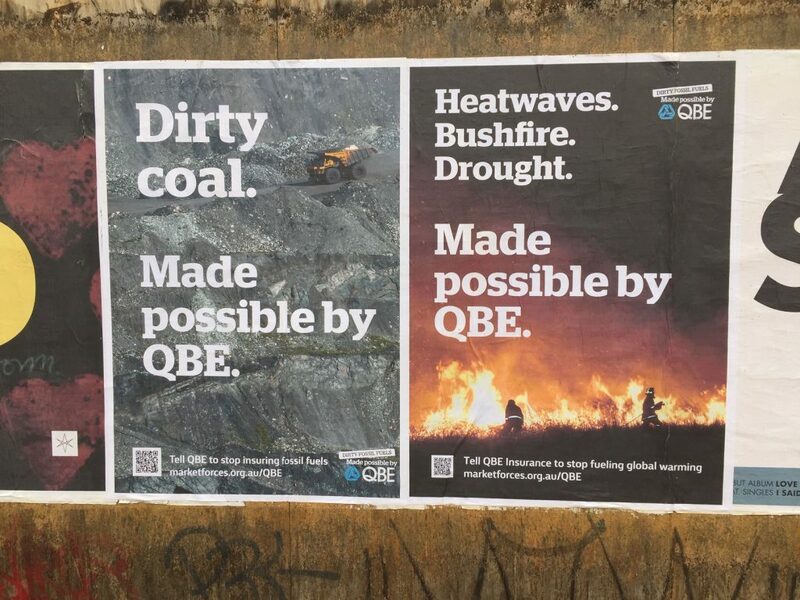 With this advertising campaign we are calling on QBE to stop delaying and take tangible action to reduce its contribution to global warming. It needs to dump its fossil fuel company shares and rule out insuring any coal, oil or gas projects that will expand the fossil fuel sector. Take action: join our campaign to get QBE to stop supporting the climate-wrecking coal, oil and gas sectors. Update 30 March 2019 – campaign win!